IDIC (pronounced ih-dihk) is an acronym for Infinite Diversity in Infinite Combinations, the basis of Vulcan philosophy, celebrating the vast array of variables in the universe. In the Vulcan language, the term for IDIC is Kol-Ut-Shan. TOS episode “Is There in Truth No Beauty?”. As part of the online Trekker prop replica fabrication and research community I recently became a part of over at The Fleet Workshop (TFW), one of the projects started a couple of years ago was recreating the IDIC. 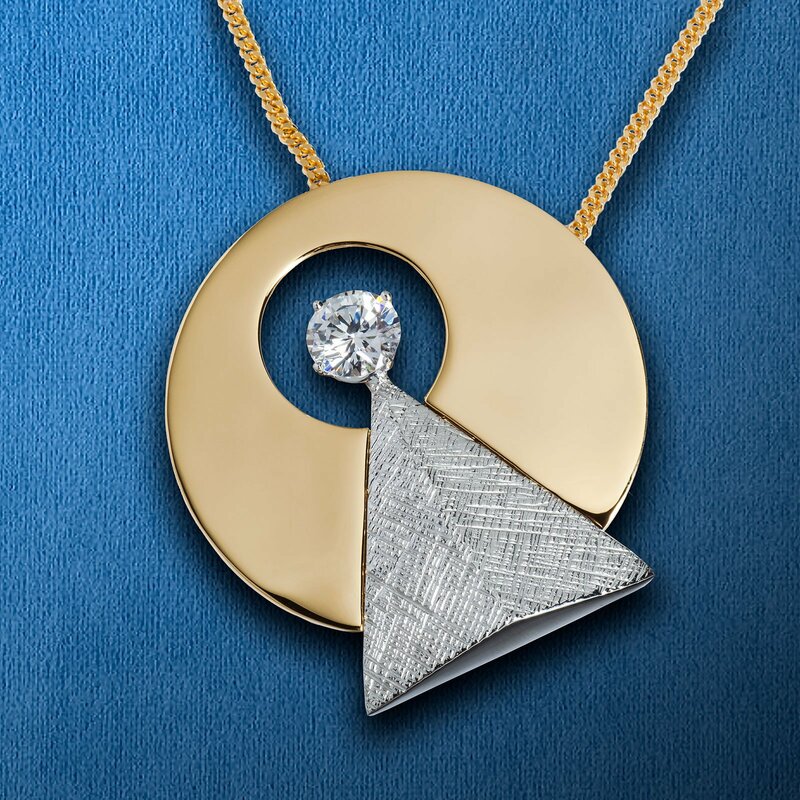 Spearheaded by Ryan Norbauer—the founder of TFW—they began researching and creating jewelry grade, exact replicas, of the Vulcan IDIC symbol as worn by Mr. Spock in the third season original series (TOS) episode “Is There in Truth No Beauty?” of Star Trek. 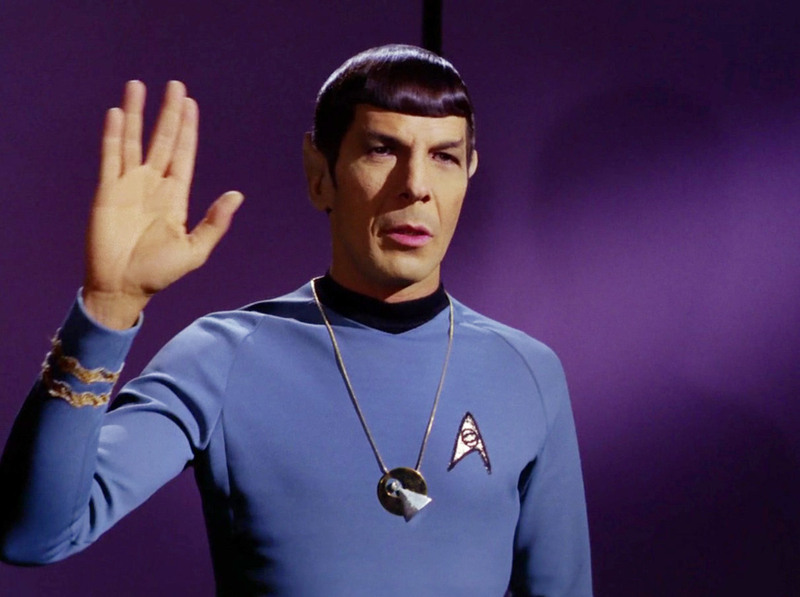 In that episode, Spock wore his IDIC medallion (in pin form) as part of his dress uniform. During a dinner function aboard the Enterprise, Dr. Miranda Jones (played by Diana Muldaur who would years later portray Dr. Katherine Pulaski during Star Trek: The Next Generation‘s second season) had noticed Spock’s Vulcan IDIC pin on his dress uniform. She inquired if it was to serve as a reminder to Jones that, as a Vulcan, Spock could mind-link with the Medusans far better than she could. Spock noted, on the contrary, that he donned it to honor Dr. Jones and her achievements. Concept sketch of the IDIC symbol by legendary Star Trek costume designer William “Bill” Ware Theiss. 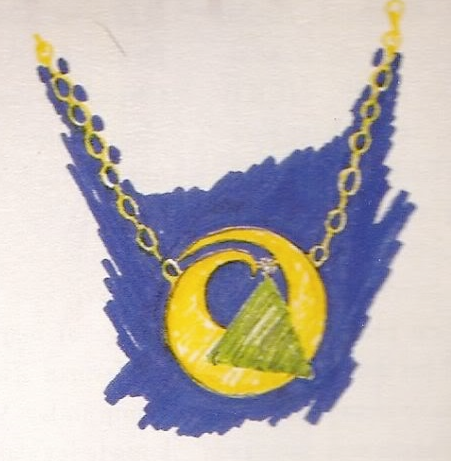 Later in the episode, Spock is shown wearing the symbol again this time in pendant form on a chain as a necklace. The invention of the IDIC by Star Trek creator Gene Roddenberry reportedly caused friction between him and the cast. William Shatner refused to wear it, as did Leonard Nimoy initially, who saw it as a cheap ploy to sell replica merchandise to fans as recounted in the latter’s book, I Am Spock. Regardless of its original introduction intent, the symbol, was designed by legendary Star Trek costume designer William Ware Theiss. It was worn by Nimoy in the aforementioned episode, and was eventually embraced by both the actors and fans. It then went on to appear in various incarnations within the series franchise. Beginning almost immediately after the end of the original series, when it was referenced in the 1974 animated series episode “The Infinite Vulcan” when Kirk reminded a giant clone of Spock of the concept, asking him whether an army of Spocks could defy this concept by attempting to impose peace and Phylosian philosophy on others. It went on to being in the design of a decorative wall hanging in Spock’s quarters in Star Trek II: The Wrath of Khan, to numerous instances in the later television series. Such as the Vulcan ship T’Vran having IDIC emblems on the back wall of the bridge in the Star Trek: Deep Space Nine (DS9) episode “Vortex“, and even an all-Vulcan baseball team having the IDIC symbol on their ball caps in the DS9 episode “Take Me Out to the Holosuite“. It even turned up in the design of Vulcan Jellyfish ship from the 2009 Star Trek, re-booted film series (aka the Kelvin timeline) where the cockpit appears to form an IDIC with the chair, the controls, and the circular window. from the 2009 Star Trek film reboot. The design motif of the IDIC symbol continued on even in the Star Trek video game, where it forms the shape of every Vulcan airlock. The IDIC representing the precept of Infinite Diversity in Infinite Combinations, is not just a symbol for the cornerstone of Vulcan philosophy and culture within the Trek universe, but has also come to represent the philosophy of Star Trek itself. While perhaps not as instantly recognizable the larger pop-cultural landscape as the U.S.S. Enterprise, the starfleet delta symbol, or the Vulcan hand gesture of “live long and prosper”, it has come to be a cherished and highly respected symbol of the Star Trek ethos within the fan community. dress uniform using a screen-capture from the episode. 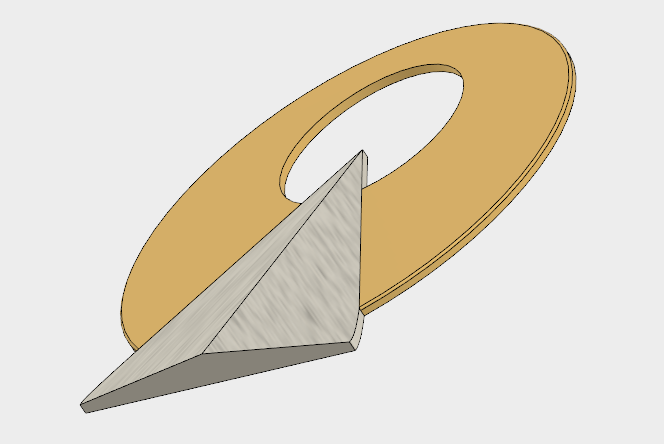 So in 2015, Ryan at TFW began working with the folks at Roddenberry.com to design and manufacture a licensed replica of the IDIC pin—incidentally, the first screen accurate accurate replica produced—for the 50th Anniversary of Star Trek. They agreed to let TFW document that process on the website and share the R&D process publicly, with the understanding that Roddenberry.com had the right to produce the item commercially and sell it. After over a year of researching, 3D modeling, prototyping, input from others in TFW community including collaborative modeling and photo research, a hyper-accurate version was finally developed and the item was produced as commercially viable collectors piece. The Fleet Workshop by Ryan Norbauer. As described over at the Roddenberry.com website, this recreation was painstakingly handmade by a traditional jewelry atelier in New England, and is the result of a collaboration between Roddenberry Entertainment and a community of Star Trek prop replica enthusiasts, who worked together to ensure that this is the most faithful replica ever produced. Access to original dress uniform braiding and Bill Theiss insignia patterns was obtained and used in concert with sophisticated digital modeling software to ensure that the sizing and shape contours were a perfect recreation of the original. Evoking Star Trek‘s simultaneous long history and vision towards the future, futuristic fabrication methods such as high-resolution 3D printing and laser micro-welding were combined with ages-old traditional hand florentine finishing techniques to yield a model with the correct contours and texture. and rhodium-clad finish with lab-grown gem. Both parts of the IDIC are first cast in jewelry-grade bronze. 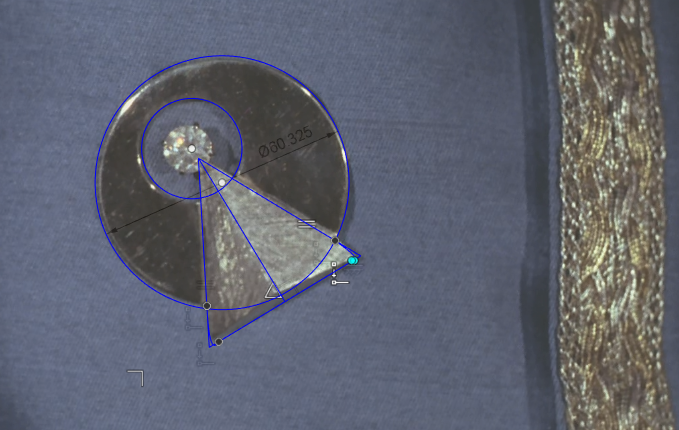 Multiple heavy plating and hand finishing steps are then used to ensure a mirror finish on the circle (in 18k gold) and a rough matte finish on the pyramid (in rhodium, one of the rarest and most valuable precious metals). The resulting textural, shape, and material contrast manifests the core philosophical metaphor of the piece, just as the use of a lab-synthesized gem reflects the scientific orientation both of the Spock character and of Star Trek itself. Both of these details were originally specified by Gene himself in designing the IDIC, as described in Inside Star Trek (July 1968). 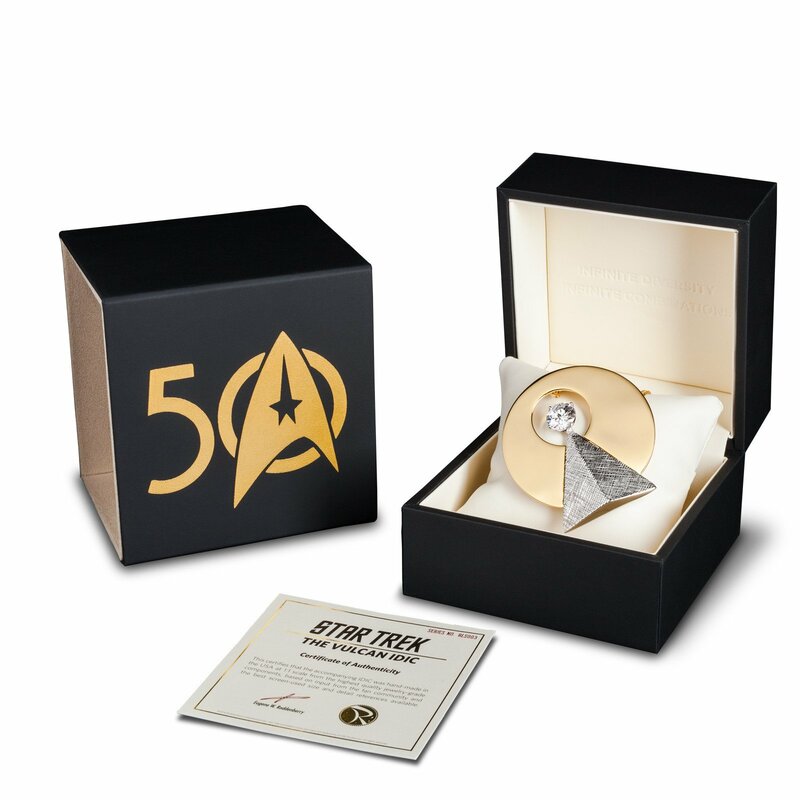 The pin is approximately 2.5″ in diameter, and the rear includes both a large pin (for wearing as Spock does in the formal dinner scene) and bails for fastening an optional matching 18k gold-plated chain (for wearing as a necklace as Spock does in the final scene of the episode). The optional chain is adjustable from 26″ to 30″ in length. So I treated myself to a little indulgence and a late Christmas gift to myself, and ordered one which finally arrived this past Saturday. The Vulcan IDIC symbol for purchase at Roddenberry.com. Needless to say I am very pleased with the beauty and craftsmanship of it. Not just the piece itself, but also the packaging it comes in which is a high-quality jewelry box, with a tasteful cream colored felt lining embossed with iconic phrase “Infinite Diversity in Infinite Combinations“. Beyond the quality of it all, knowing the amount of effort put into it as a labor of love on the part of Ryan and people at TFW and in the collaborative and respectful spirit of the people at Roddenberry.com, I couldn’t be more pleased with owning one of these beautiful IDIC symbols. This entry was posted in Star Trek and tagged Diana Muldaur, Gene Roddenberry, IDIC, Jellyfish, Katherine Pulaski, Leonard Nimoy, Medusans, Miranda Jones, prop replica, Roddenberry.com, Spock, Star Trek II: The Wrath of Khan, Star Trek: Deep Space Nine, Star Trek: The Next Generation, The Fleet Workshop, William Shatner, William Ware Theiss. Bookmark the permalink.